Passengers will be able to enjoy free wi-fi on board the first PKP Intercity Pendolino train later this year. 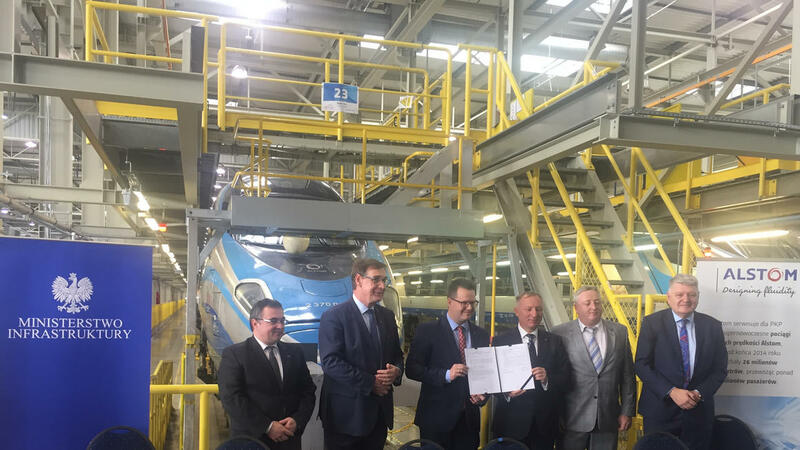 The Polish operator has signed a PLN 31.7 million (∼€7.3 million) contract with Alstom, the original manufacturer of the Express InterCity Premium trains, in a deal that also includes five years of maintenance. Pilot wi-fi tests were successfully carried out in August, meaning installation can begin in September. Minister of infrastructure and construction Andrzej Adamczyk said: “The railway sector has been radically changing in recent years. Our objective is for it to be safe, comfortable and timely. “We endeavour to reach this goal through the comprehensive investments carried out both in terms of railway infrastructure and rolling stock. Alstom teams in Warsaw will be responsible for the installation of wi-fi devices in the Pendolinos and training PKP Intercity staff. Wi-fi is currently available in 171 PKP Intercity cars and 40 combined sets (PesaDart, Flirt3). By the end of 2018, wi-fi will be available in 200 conventional cars, according to the ministry of infrastructure.